MEGA SHOW Series presents the largest and most important sourcing trade events in Hong Kong every October for gifts, premiums, housewares, kitchen & dining, lifestyle products, toys & games and stationery from 4,000 exhibitors. Asian-made products are the top sought-after sourcing choice by global buyers across the world for their trendy design, good quality and competitive prices. 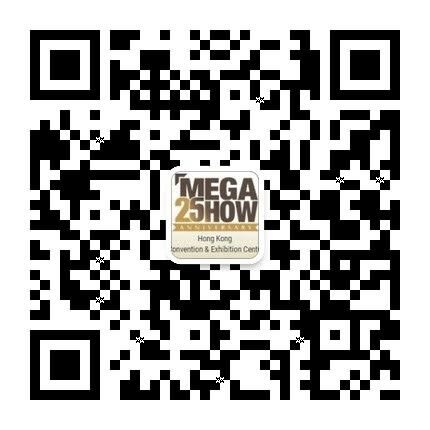 The 2-part MEGA SHOW Series presented in 7 thematic product shows is a premier showcase of Asia’s best products and suppliers. If you are looking for the latest and highly profitable new merchandise to grow your business and keep ahead of competition, you will have them all here under one roof at the 2019 MEGA SHOW Series. Some 4,000 quality suppliers from around 30 countries and regions will be exhibiting in 5,100+ booths over the seven show days this year. It’s a great chance for you to meet and touch base with a large number of target suppliers, from top veteran suppliers to fresh start-ups and newcomers of the show series. Enjoy a big cost-saving on your trip by applying the Special Sponsorship Offer extended to all qualified buyers. You can receive a cash sponsorship of up to HKD4,600 by attending the shows during 20-23 and 27-29 October, 2019.